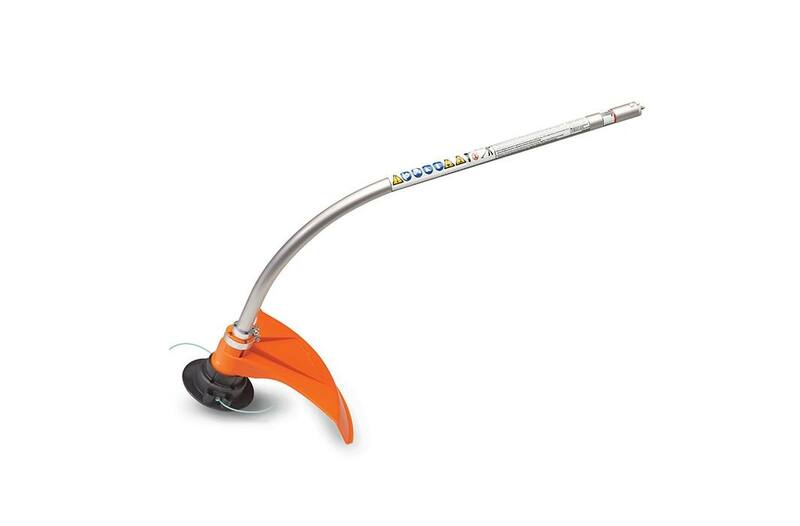 This STIHL KombiSystem curved shaft trimmer attachment is designed for greater comfort and ease of use. Turn your STIHL KombiMotor into a lightweight, easy-to-use lawn trimmer. The FSB-KM curved shaft trimmer is equipped with the AutoCut® C 6-2 EasySpool™, which is more user-friendly when reloading line than the previous model. Furnished with an 8mm arbor shaft thread, the FSB-KM also permits use with a wider selection of optional cutting attachments than the previous model. This attachment delivers great comfort and control in tight quarters, or simply for those who prefer a curved shaft trimmer. The FSB-KM is part of the STIHL KombiSystem, a multi-task tool system featuring a range of interchangeable attachments.